For the first time on the policy front, and through the Obama White House, the United States Department of Agriculture’s proposed upcoming budget supports an initiative to defund horse meat inspections in the United States. Previously, this kind of action had not been initiated by the executive branch, according to U.S. Congressman Jim Moran’s office. But as news of horse slaughter starting again in America intensifies, a public backlash has triggered grassroots and national attention. The announcement regarding the USDA’s Fiscal Year 2014 budget request, which does not include future funding for horse meat inspections, came last week. “The USDA’s inclusion of language to defund horse slaughter inspections in the Fiscal Year 2014 budget request is an important step in the right direction. This decision reflects the food-safety concerns inherent to horse meat and is consistent with the 80 percent of the American people who oppose this inhumane industry. It is now up to Congress to do the right thing and vote to approve this language in the Fiscal Year 2014 Agriculture Appropriations bill,” Moran said. But Moran also points out that Congress has the “power of the purse” and there will be a battle regarding approving the defunding policy. He acknowledges that the pro-slaughter lobby is strong, but is hopeful that members of the public will let their elected officials know that horse slaughter is inhumane and that they do not want to financially support this kind of business sector. Moran (D-Va.), a vocal opponent of horse slaughter, had requested just weeks ago in a letter to USDA Secretary Tom Vilsack that the USDA include defunding language in its upcoming budget as a way of stopping horse slaughter in our country. In that letter, Moran raised several concerns about horse slaughter resuming in America and the meat from butchered horses being shipped abroad and sold for human consumption. His reservations include public-health issues, such as people eating potentially toxic horse meat, and pressing budget matters. Oklahoma passed legislation that ends a 50-year ban on horse slaughter. There are pending applications with the USDA for horse meat inspections at proposed horse slaughter plants in Iowa, Missouri, Oklahoma and Tennessee, and one for a facility in New Mexico which filed a lawsuit and whose owner is awaiting the go-ahead to open the first horse slaughter operation in the United States since 2007 (sources: Bloomberg, The New York Times and Front Range Equine Rescue). The horse slaughter debate takes on a new intensity in light of a mounting controversy in Europe over mislabeled meat products, including those containing trace amounts of horse meat, and what creeps into the global food-chain. While the gritty dialogue about domestic horse slaughter for human consumption in foreign countries gains momentum and increasing exposure, the mainstream and business media often frame the anti-slaughter faction’s responses as emotional and the perspectives they provide in their news coverage and editorials are sometimes narrow. However, in our interview with We Make It News, Moran explains why banning the slaughter of American horses for human consumption is a logical and needed step. Because Americans do not eat horse meat, reopening horse slaughter facilities in our country will result in taxpayers supporting an industry that does not benefit them during an era of fiscal constraints and dwindling federal funding. Moran, who is serving his 12th term as a representative from Virginia’s 8th District, has been a longtime advocate for animal protection and a policy pioneer in helping pen and endorse legislation that will end the “heinous practice” of slaughtering American horses for human consumption. He is co-chair of the Congressional Animal Protection Caucus. For several years, Moran drafted an Agriculture Appropriations bill amendment, that was consistently approved, which defunded USDA inspections for horse meat. However, in 2011 that language was pulled in a closed conference, thus setting in motion the possibility for horse slaughter facilities to reopen in our country. It is paramount for those who want to stop horse slaughter to take a few moments to reach out to their local representatives and senators in the U.S. Congress and request that they support a ban on the transport and slaughter of American horses for human consumption, including the USDA/White House’s recent policy move and the Safeguard American Food Exports (SAFE) Act. The latter is bipartisan legislation introduced this year that focuses on food safety as a route to permanently stop the slaughter of American horses for human consumption. “Every dollar spent at horse slaughter plants would divert necessary resources away from beef, chicken, and pork inspections – meat actually consumed by Americans. … [Additionally], contrary to the claims of slaughter proponents, these [slaughter] horses are not old and unwanted, with USDA statistics showing that 92 percent of all horses sent to slaughter are in good condition,” Moran wrote to Vilsack. “It is regrettable that Congress allowed the prohibition on federal funding for horse slaughter inspections to lapse. While I work to restore this ban, I strongly urge you to exercise all available options to prevent the resumption of this industry. I also stand ready and willing to work with you in developing a responsible plan for handling unwanted horses,” Moran concluded. You can call the White House [202-456-1111 or TTY/TTD 202-456-6213] to help permanently stop horse slaughter, as well as ask for an end to transporting American horses to slaughterhouses in other countries. Click here to access information from the Humane Society. Please remember that horse slaughter is not humane chemical euthanasia, will only exacerbate the suffering of horses, and goes against American values. Slaughter ensures a horrific fate for horses – including racehorses, ponies, former dressage and show competitors, and pleasure, companion, working and wild horses – that are sold into the slaughter pipeline at auctions where kill buyers lurk. 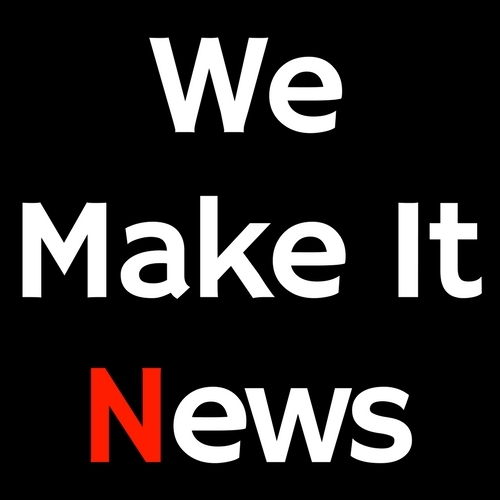 Video and audio pieces for We Make It News are produced by Tobin Communications. We Make It News is produced by Tobin Communications.